Not every DIY adventure goes as planned. I’m a Bath Junkie. Always have been. But I generally keep it pretty simple. Once I gave up my beloved bubble bath to get rid of toxic chemicals like Sodium Lauryl(eth) Sulfate in my relaxing tub time I’ve pretty much stuck to bath salts with one or another of my essential oils depending on need or the mood that struck me that evening. But bath bombs are all the rage on DIY recipe boards and I figured with the holidays coming up why not try my hand at something new, and a little more visually appealing than bath salts, for a holiday gift idea. I’ve made tons of recipes over the last couple years, how hard could it be? ……. Apparently, much harder than I expected. See, I had never worked with Citric Acid before and this (mis)adventure was a bit more like a homemade science experiment than I anticipated. But I’m getting ahead of myself. My (mis)adventure began on Pinterest, as most of my DIY adventures do. I found this amazing looking recipe on the She Knows blog for DIY Lavender Bath Bombs. I had the exact same mold she used from when I made bath crayons for the kiddos on my holiday list last year plus I had some leftover dried lavender from the garden and her bath bombs were really pretty, not your typical sphere shaped bombs, that I thought would look nice packaged in my favorite reusable holiday gift “wrap” a wide mouth Mason jar. All I needed was some Citric Acid and I was all set. Always pay attention to the amount the recipe calls for and measure carefully! **For the record, this is more than “slightly wet”… If your mixture looks like this, it’s way too wet and you should probably start over. But I’m getting ahead of myself. After I had my mixture to the consistency that I thought I wanted (see note above), I poured it into my silicone molds and pressed down firmly with my fingers. But try as I might I could NOT get the bombs out of the mold. They were just too wet and clung to the sides. So I figured I would just let them dry out a bit and pop them out later. Well after entertaining the little one for awhile I came back into the kitchen to discover my mixture was rising… like yeast bread dough but at a faster pace! See image below. Somewhat surprised by this turn of events I calmly pressed the mixture back into the mold and let it sit a bit longer. This time I turned the mold upside down thinking that at least the mixture wouldn’t rise out of the prescribed shape. I had to run an errand that afternoon so I checked my bombs before I left only to discover that the mixture was billowing out from beneath the upturned mold. At this point I’m starting to get a bit concerned but didn’t want to give up on it just yet so I decided to press the mixture back down in the molds, yet again, but this time I was going to outsmart it so I turned it upside down and put a heavy pot on top of the upturned mold and left it to dry out while I ran my errands. Upon my return I was shocked to discover that the chemical reaction was so powerful that it could still bubble out from beneath the upturned mold even with a heavy pot on top. I had been gone long enough the mixture had, in fact, dried out and was now stuck to the paper towel it had been drying on. When I removed the mold I was faced with the epic disaster you see pictured above. Nailed it! preheating your oven to 170°, turning your oven OFF, then putting your bath bombs in there for approximately 45 minutes. Lavender Bath Bomb pancake… (I broke it apart before getting the idea to document yet another failure and thus the inspiration for this blog post was born! lol). So I put the pancake version in a plastic bag to throw in my own bath whenever I find the time to actually relax. I should’ve taken a picture but when I went to the bathroom later in the afternoon I discovered that even despite being dried out and baked in the oven for 45 minutes the mixture was still producing carbon dioxide and my ziploc had swollen up like a balloon! It was crazy town! So I carefully unsealed the ziploc (I’m sure I looked like I was handling a nuclear device while doing so) and left them on the counter to finish whatever chemical reaction they still had going on. I’m pleased to report that more than a week later they no longer produce CO2! Now at this point I am bound and determined to conquer this recipe and to create something that even remotely resembles the adorable Lavender Bath Bombs in the original recipe. So, I set out to make yet another batch! This time I followed the directions, carefully measuring my Citric Acid, ensuring that my spray nozzle was set to a fine mist, stopping when I felt like I probably needed to add more water, and now putting in the oven while the mixture was still in the silicone mold to help them retain their shape as they dried out. After about 10 minutes or so I’m starting to get curious so I go to my oven to check on the bath bombs. What I discover is that they are still, in fact, rising, but this time at a much slower rate. So I pull my mix and mold out of the oven and carefully press the mix back down into the mold. You can see in the pic that they were starting to dry out and were a bit crumbly. I was starting to get pretty nervous but I practiced my positive self-talk and just kept hoping that I would get a usable product this time. 10 minutes later I checked again. Still rising but starting to dry out more. So I carefully pressed it back down into the mold, packing it in as firmly as I could. Third time is a charm, I guess, because at the end of 45 minutes I was pleased to see that they had finally retained their shape and looked very similar to the pictures in the original blog post! Winning! I’m pleased to report that the bath bombs were a big hit at my DIY Holiday Gift Guide essential oils class I hosted last weekend, in part, I’m sure, due to everyone enjoying the tales of my (mis)adventures while making them! I offered a choice of any one of my DIY gift ideas to the girl who co-hosted with me and she chose the Lavender Bath Bombs as her gift. I’m pleased to report that she used them and said that she had a delightful bath! So there you have it. While my (mis)adventure may not have gone quite as planned it was a story worth telling and in the end I wound up with a beautiful finished product! In hindsight, I’ve heard of other recipes that do not use Citric Acid and maybe one day I’ll give them a try. But for now, I think I’m tapped out on bath bombs! Have you made DIY bath bombs? What recipe did you use? I’d love to hear about your adventures! Comment below! Categories: DIY Personal Care and Hygiene | Tags: baking soda, bath bombs, citric acid, essential oils, lavender, natural food coloring, natural lifestyle, naturally oily, non-toxic, pinterest fail, young living | Permalink. Stinky Diaper Pail? There’s An Oil For That! 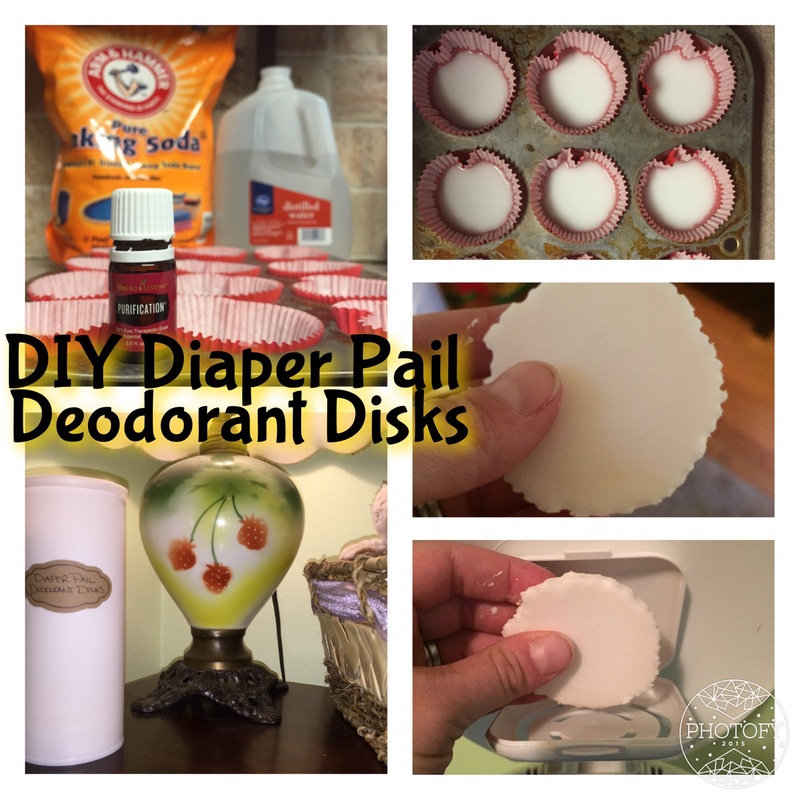 Check Out These DIY Diaper Pail Deodorant Disks! As you all are aware, I have a bright, bubbly, beautiful (almost) 8 month old daughter. What that also means, is I’m up to my elbows in stinky diapers! Even thought it’s not so crunchy, we decided that the best decision for our family was to use disposable diapers so we have a Diaper Genie in our daughter’s nursery. 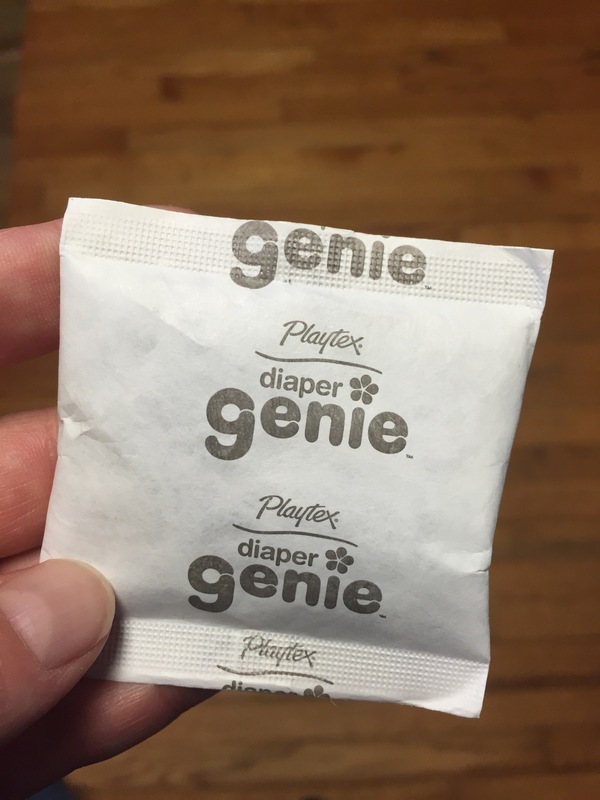 The Diaper Genie comes with this little packet of carbon that is inserted into a little container in the lid of the diaper pail to help control odor. Great idea! 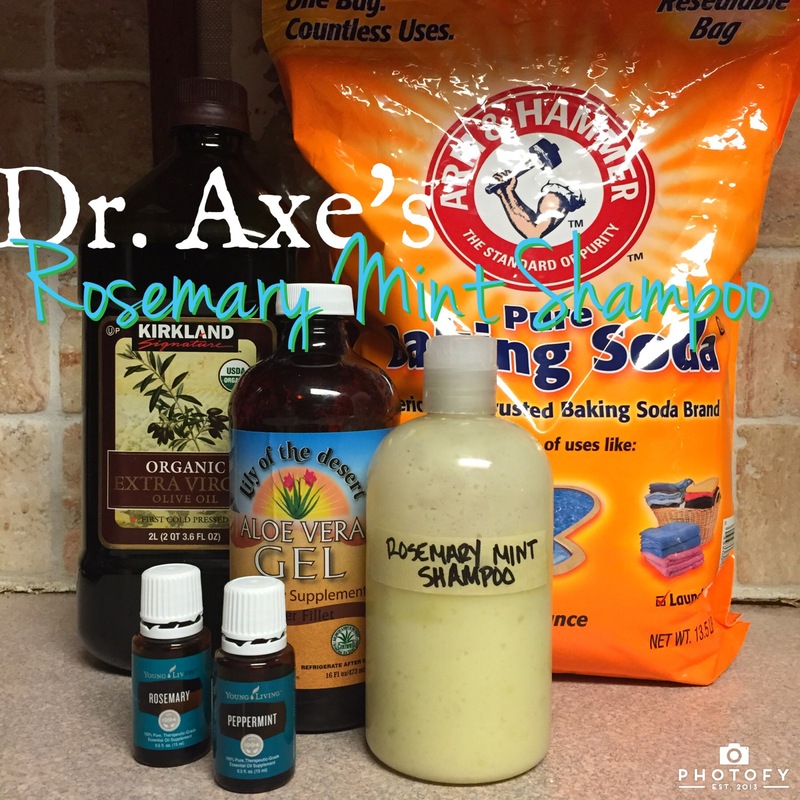 I loved that it helped control the odor without harsh chemicals. But after 6 months or so, it was no longer up to the challenge of keeping the stink contained so I set out to find a refill…. Guess what? These things aren’t sold in stores. Not Babies R’Us, not Target, not Walgreens… not anywhere I could find. Why? I can’t possibly say. Seems like a failed execution strategy to me. 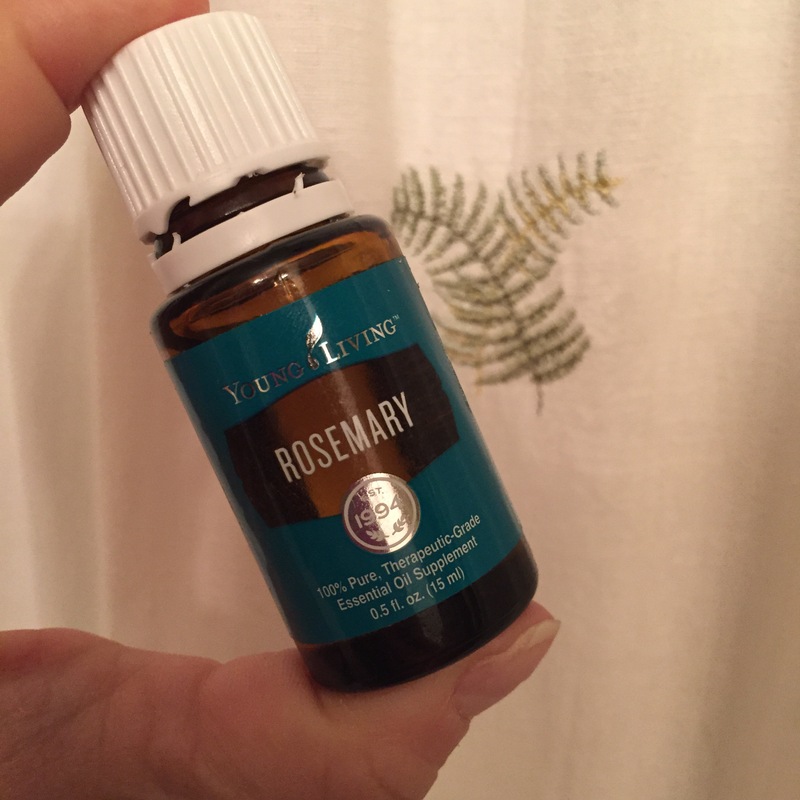 But I’ve got this great kit of essential oils and I thought for sure there is some way I can DIY something to work in place of the carbon insert so I headed on over to my trusted Pinterest to find a recipe. As always, I wasn’t disappointed and found this gem of a recipe! Essential oils of your choice – I chose Young Living’s Purification, a blend of Citronella, Lemongrass, Lavandin, Rosemary, Tea Tree, and Myrtle specifically designed to help eliminate odors! Add a few drops of your desired essential oil to a small amount your distilled water (If you don’t have distilled you can boil tap water but make sure to wait for it to cool before adding your eo as heat can destroy the therapeutic properties of essential oil). Mix the water with the baking soda and gradually add a little more at a time until you get a thick paste. I used 3/4 cup of water and it was TOO MUCH!!! I actually added more baking soda and it was still too much. In hindsight, I’d probably start with 1/4 cup and add more until desired consistency (this is especially important if you use silicone muffin cups – since I used paper the excess water was able to seep through the paper – I removed from the tin and set on a paper towel to absorb the extra water). Press a bit of the paste into lined muffin tin, about 1/4″ per disk. Let dry 24 hours. Remove from muffin cup. Place in diaper pail. I had an old Crystal Light lemonade container left over from when I rid my house of processed foods a year or so ago that I had been hanging on to but wasn’t sure why. It was the perfect size for storing my deodorant disks! So I put a pretty label on it and set it up in the nursery so I have easy access to the disks in order to replace them once a month or so. Use cloth? These deodorant disks can also be used for cloth diaper wet bags and BONUS you can crumble them up and throw them in the diaper wash after they start to lose their effectiveness. 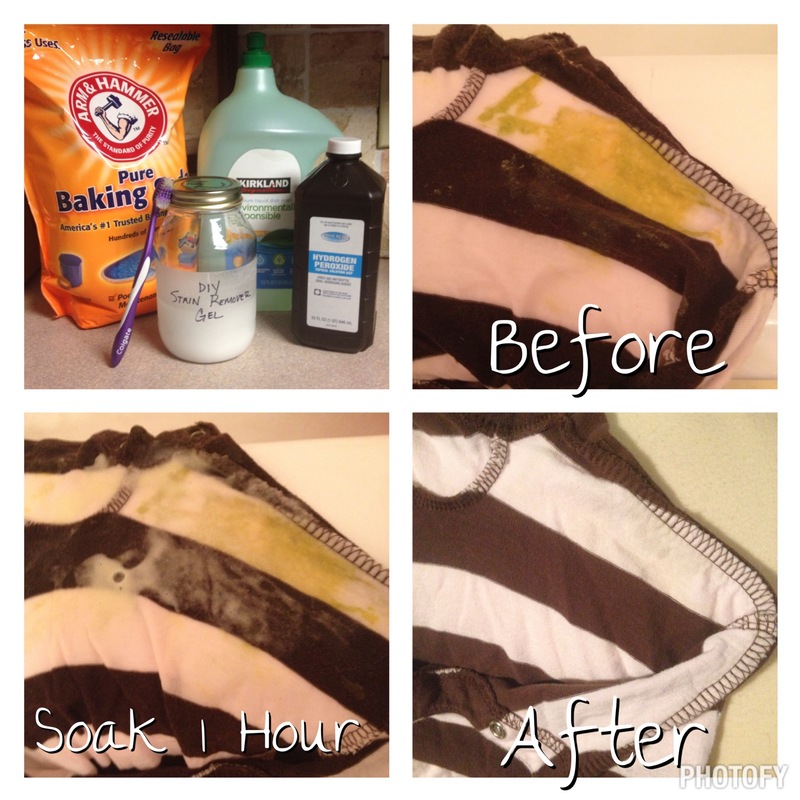 The baking soda will help deodorize and soften your cloth diapers! Source: Diapers, Dirt, Donuts, Doodling & Digital’s blog Stinky Diaper Pail? 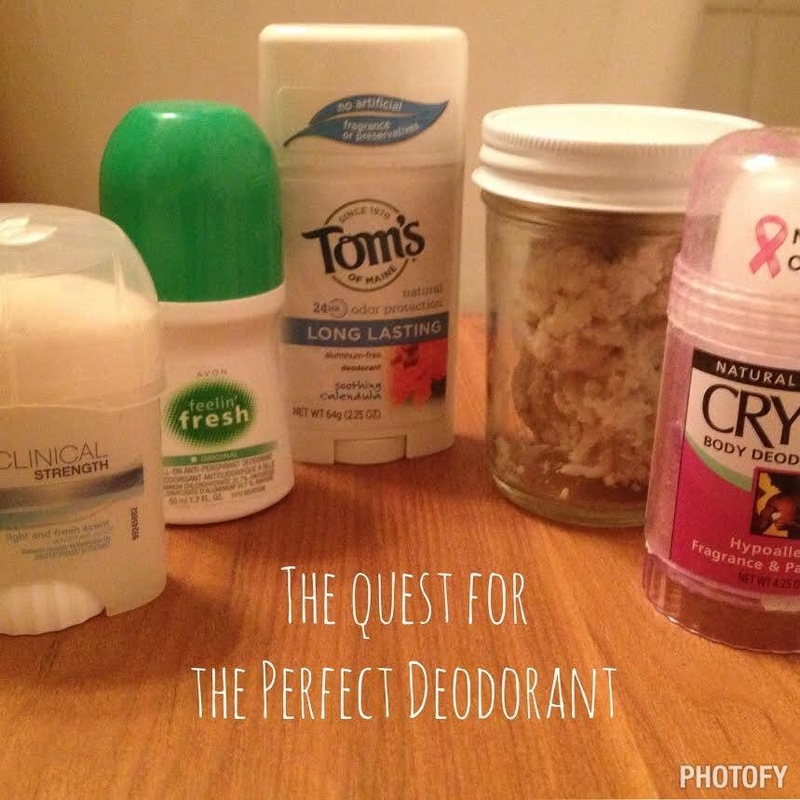 Make Your Own Deodorant Disks. 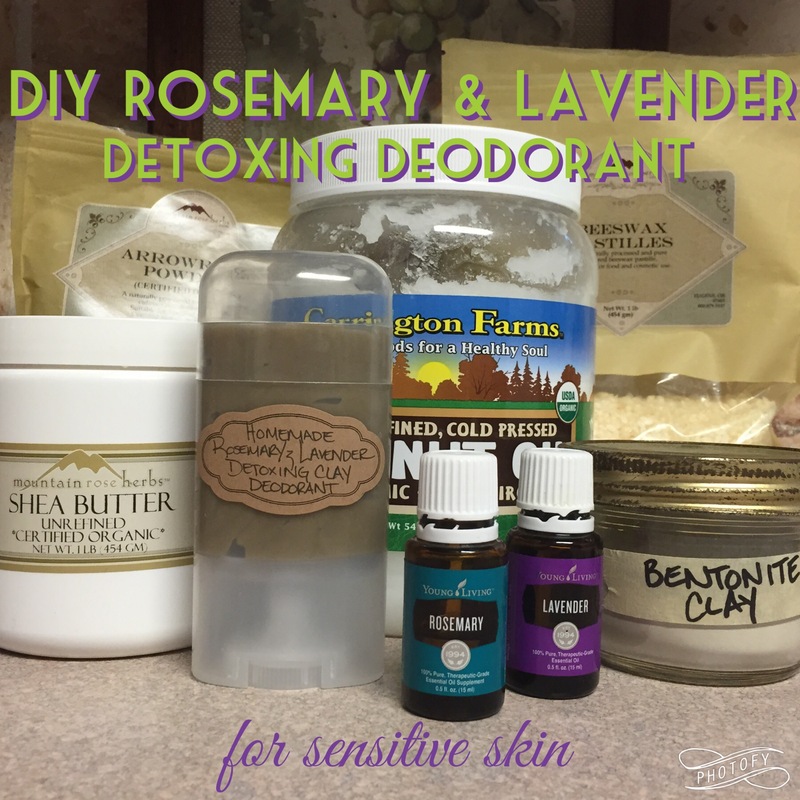 Have you made DIY diaper pail deodorant disks? Tell us about your experience below! Categories: DIY Cleaning Products and All Natural Household Hacks | Tags: baking soda, deodorant disks, diaper, diaper pail, DIY, eliminate odor, essential oil, natural lifestyle, natural living, purification, young living | Permalink. As you all know I have an amazing, beautiful, well-behaved 5 month old that I just adore! What this also means is that I often find myself up to my elbows in baby poop! The first 3 months or so it seemed like she had a diaper blowout (which we lovingly call Poopsplosions!) at least once a day and I found myself wondering if I should buy stock in Spray’N Wash I was using it so frequently. Because I don’t have a real laundry room (my washing machine and dryer are in the garage and there’s no real horizontal or hanging space to speak of out there – definitely on my list of things to add when we finally get around to remodeling the house!) my bathroom was taken over by piles of dirty laundry, Spray’N Wash spray bottles, and old toothbrushes. I could literally have two outfits at a time draped over the side of my bathtub soaking in a chemical concoction in a desperate attempt to not ruin yet another outfit with a yellow/brown poop stain… I spent way too long in the detergent aisle trying to find the strongest stain remover money could buy and tried, in vain, to ignore the fact that if I took the time to actually review the ingredient list I would cringe. Sulfuric Acid – Sulfuric Acid is a known carcinogen that (in mist form) has been linked to cancer in humans. It is a skin irritant that can cause contact dermatitis and severe skin corrosion, burns and eye damage as well as a respiratory irritant that can trigger asthma attacks and even cause pulmonary edema. Artificial Fragrance – Artificial fragrances can cause skin and lung irritation and in severe cases even nervous system damage, especially in small children. In addition, it is not anaerobically biodegradable and can cause water toxicity. Alcohol Ethoxylates (C12-16, 7EO) – There is limited data on the effects of Alcohol Ethoxylates specifically but what is known from the impurities this ingredient may contain (e.g., Ethylene Oxide and 1 4-Dioxane) is that there is some concern for asthma and respiratory irritation as well as skin irritation. More severe reactions such as pulmonary edema, nervous system impairment, liver damage, and reproductive effects are also possible. In addition, Alcohol Ethoxylates can be toxic to aquatic life. Benzenesulfonic Acid, C10-16-Alkyl Derivative – While there is almost no data and limited cause for concern for health risks, Benzenesulfonic Acid is known to be toxic to aquatic life and is not anaerobically biodegradable. Tetrasodium Iminodisuccinate – There is almost no data for Tetrasodium Iminodisuccinate but some to suggest that it is toxic to aquatic life. Sodium Cumenesulfonate – Again there is limited data on Sodium Cumenesulfonate but it is suggested that it could be a skin irritant and toxic to aquatic life. The concern for health risk is obvious but why the concern for aquatic life? Doesn’t my washing machine just drain into the sewer or my septic tank? How does that affect the rivers and ecosystems that rely on them? When you are done washing your load of laundry, that dirty, soapy water is drained out of your machine through the pipes and into whatever waste collection system you have in your home. If you are particularly eco-conscious this may be a grey water collection system (but I’m guessing if that’s you then you aren’t using Spray’N Wash or other toxic laundry detergents already) but most likely it is a city sewer system or a septic tank if you live in a rural area. In a sewer system the water is run through progressively larger and larger system of pipes until it reaches the treatment plant where the raw sewage (this includes waste water from your toilet as well as any grey water from your sink, bathtub, washer, etc.) is processed. This is typically a three stage process. The first stage, or primary treatment, is similar to what a septic tank does in that it allows the solids in the waste to settle to the bottom and the scum to rise to the surface. The solids are then collected where they are either deposited into a landfill or incinerated. In a septic tank the water in between the solids and scum layer is filtered out through an outflow pipe and is sent to a drain field where it is absorbed by the surrounding soil and becomes part of the groundwater. The primary treatment generally removes about half the solids before the sewage either moves on to secondary treatment or is chlorinated to kill the remaining bacteria. The secondary treatment removes organic materials and nutrients from the water with the help of bacteria. After the bacteria have eaten the organic waste the water is then funneled to a pool where the bacteria then settle out. The bacteria in the secondary treatment may remove up to 90 percent of solids and organic materials. The third and final process, or tertiary treatment, usually adds chemicals to remove the nitrogen and phosphorous from the sewer water and chlorine is added to help kill any remaining bacteria. The remaining water, or effluent, is typically dumped into a nearby creek or river, although in some cases it may be recycled to be used in irrigation (again back into the ground water) or for industrial purposes. In some cases, treated sewer water may even be recycled into drinking water. But this waste water is not benign and can have a detrimental effect on the aquatic life and ecosystems that depend on the running water from these creeks and rivers. The treated sewage water may still have trace chemicals that can suppress the immune systems of fish and other marine organisms which may allow for the onset of diseases. Heavy metals, pesticides, persistent organochlorines, plastics, surfactants and aromatic hydrocarbons may even disrupt the endocrine systems of aquatic life resulting in malfunction of sexual and bone development. While this may not result in immediate damage visible to the public, like the three-eyed fish in the Simpsons or a sea of dead floating fish, over time it can cause a disruption in typical fish behavior including normal swimming, schooling, and migration patterns that may have a detrimental effect on their survival. Larger fish and other organisms may eat vast quantities of smaller contaminated fish resulting in bioaccumulation that may be thousands of times larger than the original level of toxins absorbed. In addition, organic materials leftover from the treatment process will be consumed by natural bacteria in the waterways which consume greater amounts of oxygen and can suffocate fish and other sea creatures as the water travels towards and into the ocean. This leftover organic material, in extreme cases, may even block out sunlight preventing growth of aquatic plants that are food for fish and other animals that are part of the aquatic ecosystem. So, now that you know more than you wanted to about sewage treatment and the effect the chemicals in our grey water has on aquatic life are you ready to start researching the ingredients on the backs of all your cleaning, dishwashing, and laundry products? Are you ready to throw them all out and start fresh with natural, chemical-free, and non-toxic products? Great! Join me on my journey! Once I was aware of how toxic the Spray’N Wash I had been using was and the risks to not only my family’s health but also to the local aquatic ecosystems I naturally wanted to find an alternative that was less harmful. 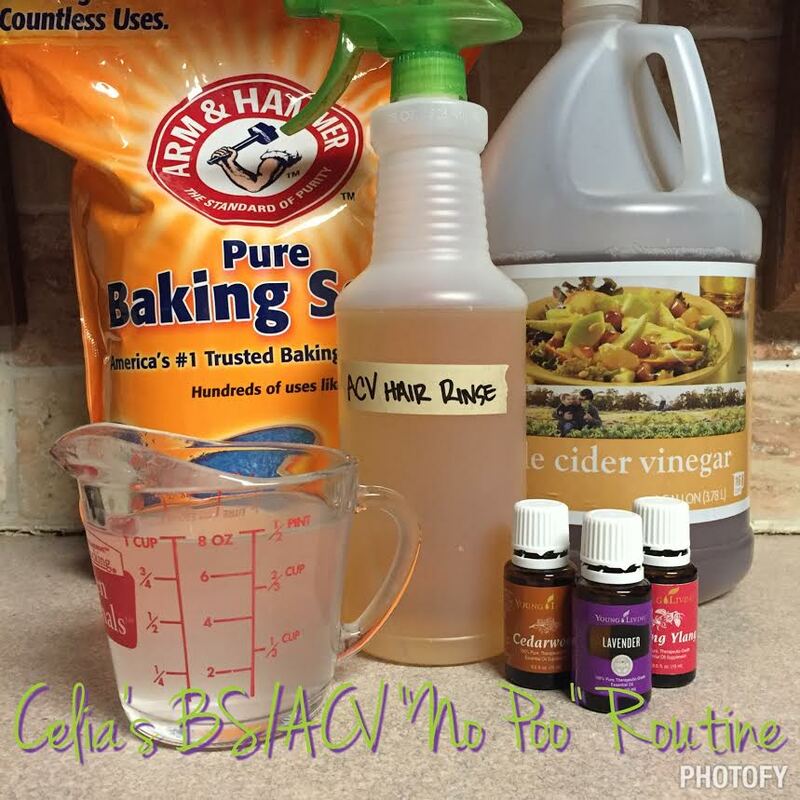 I had talked with several other moms in my wonderful Sugar Plums online support group and found that a few of them did use less toxic methods of stain removal. One mama in particular shared her recipe with me (so i can’t take credit for this but I’m not sure she’d want me calling out her name in a public forum) and I have been more than pleased with the results! The one ingredient that the recipe called for that I didn’t have on hand is Dawn. I don’t know why all these DIY recipes call for Dawn in particular, often “blue Dawn” specifically. Maybe because it is such a popular brand of dishwashing liquid? But we have been using Kirkland Signature’s Environmentally Responsible Dishwashing Liquid (which in hindsight actually scores lower than blue Dawn on EWG, mostly due to poor ingredient disclosure, but does avoid SLS, phosphates, dyes, and artificial fragrance and claims to be a biodegradable cleaning agent made from plant-derived ingredients so I choose to continue to use it for these reasons, but do your research). Also, don’t be fooled like I was into thinking that since this is a stain remover that it will be a spray… I don’t know what I was thinking (I guess I really wasn’t because a quick glance at the ingredient list should’ve told me that this would not spray) but I originally added all the ingredients to a recycled Spray’N Wash bottle which then proceeded to bloat and gave me a moment’s pause and concern that it might actually explode! I assume the bloat was a reaction between the hydrogen peroxide and the baking soda and thankfully it didn’t explode! lol But this is a GEL formula and once I switched over to a glass bottle I had much better luck. Also, the baking soda may settle to the bottom if you go too long between uses and you may need to occasionally stir your mixture. Combine ingredients into glass storage container. Allow ingredients to combine and settle for a moment before placing lid on container. Will create a gel. Directions For Use: Spoon out a bit of gel and scrub onto stain using an old toothbrush. Allow gel mixture to sit on stain for at least 1 hour (or I’ve let sit for up to a day or two until I got around to doing laundry). Wash (We use Ecos Natural Laundry Detergent) and dry as normal. I admit I had some concern that the hydrogen peroxide would cause my colors to fade but I’ve used it with success on a variety of bright colors and even black with no fading or bleaching at all. In fact, this recipe works way better than my old Spray’N Wash MAX ever did. I had the opportunity over the weekend after a massive Poopsplosion to use this on one of my daughter’s Aden & Anais swaddle blankets (I almost cried when I saw the aftermath) and it got out ALL of the stain! I was thrilled! Do you have a favorite DIY Stain Remover? I’d love to hear about it! Share the recipe below to keep the conversation going! Categories: DIY Cleaning Products and All Natural Household Hacks | Tags: baking soda, chemical free, cleaning, DIY, household hacks, laundry, natural cleaners, natural lifestyle, natural living, non-toxic, stain remover | Permalink.